When we had the chance last Fall to meet Stan Lee in person at a charity event at a San Francisco CA I took off of work and we drove there just in time to get in the growing line of people waiting outside. My heart panicked a bit when a guy with a clip board was checking if people in line had prepaid for the event! Thankfully they still had a few spots left to meet him for that day purchases. My son was dressed in his Spider-man costume and we grabbed one of our classic Spider-man comic books from our collection to have signed. 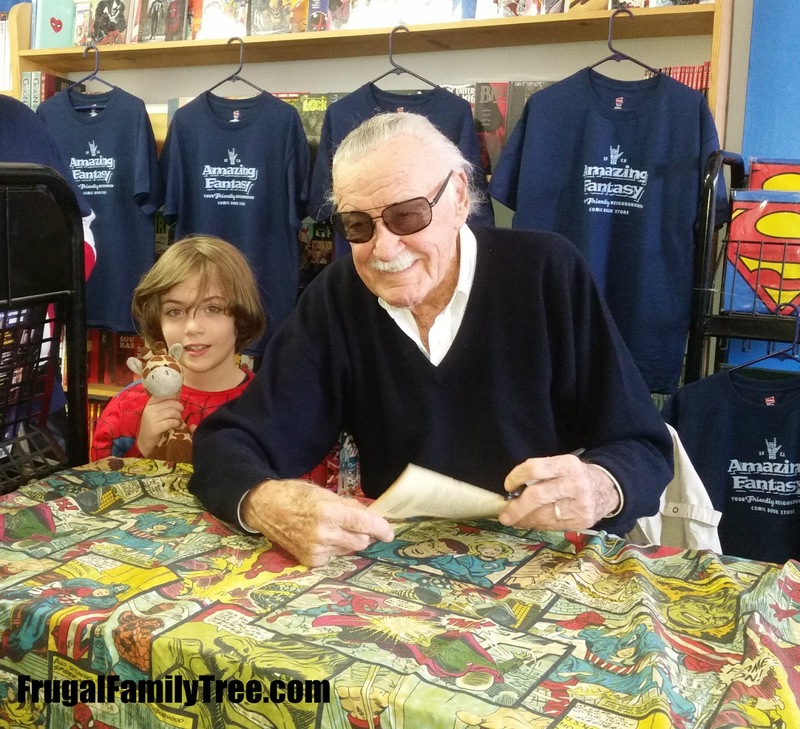 This was a first time meeting with Stan Lee for our family, we were elated to meet the comic legend!! My son has started writing his own comic books but would not let me post them here in case he's famous one day as he says, he did offer to sell me one though! Amazing Fantasy Comic store held the event at their tiny store in San Francisco. It created an intimate atmosphere as each person took turns going inside the store to take a photo and get an autograph. The buzz outside the store was awesome as people passing by tried to get a peek at Stan Lee and the people who just met him were comparing and showing off the items they brought for him to sign. We all shared stories of Stan Lee, the Marvel Universe, comics in general and all the nerdy geekness of being a fan, it was epic! Being in San Francisco is always a day trip for us and we made the most of it by visiting the beach where I may have possibly let my son swim in the ocean while wearing his Spider-man costume. 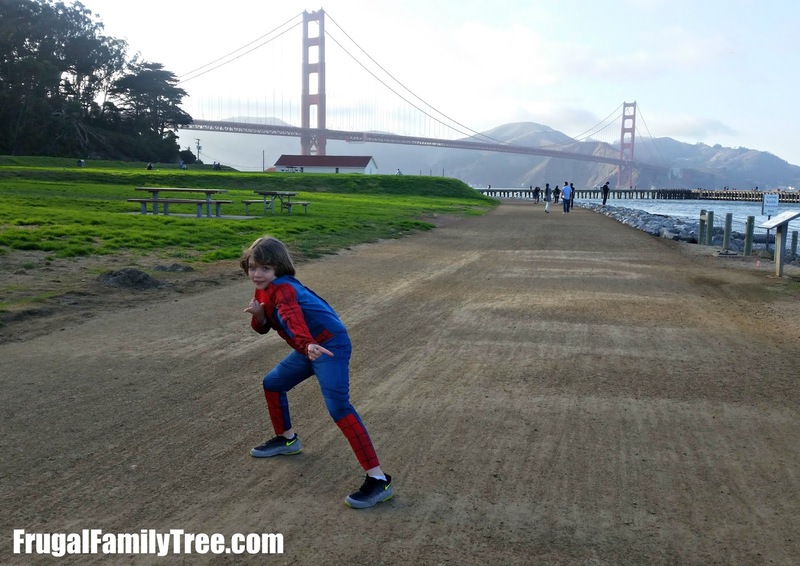 My son told me Spider-man defends New York and he could defend California!! 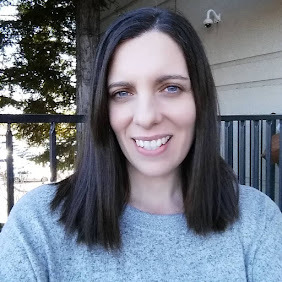 No trip to S.F. 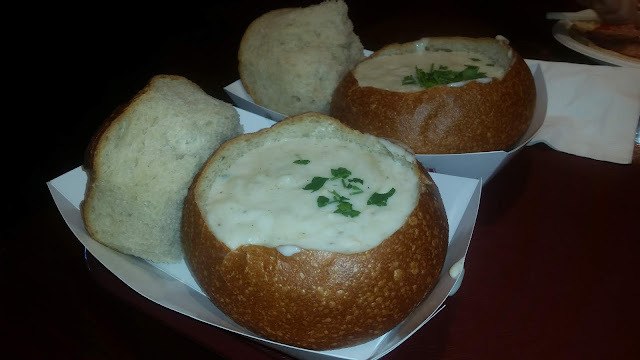 is complete without a clam chowder in a bread bowl for dinner. 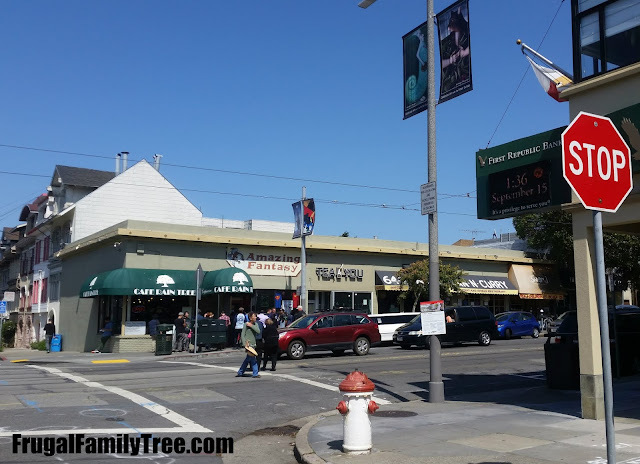 We stopped by Boudin bakery for ours and had to go say "hi" to the seals on Pier 39. It was a perfect day meeting a legend with the people I love! !